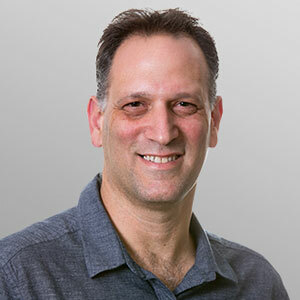 Chemi Katz is CEO of Namogoo, a pioneer in the market of Customer Hijacking Prevention. Created with the mission of preserving a distraction-free online customer journey, Namogoo’s technology identifies and blocks unauthorized ads injected into consumer web sessions that divert customers to competitor offerings, hurting conversion rates and damaging brand equity. In this exclusive interview with CRM Buyer reporter Vivian Wagner, Katz discusses the threat of online customer journey hijacking and offers advice on how to combat it. CRM Buyer: What is online journey hijacking, and why is it important to prevent it? Chemi Katz: The customer journey is the journey that e-commerce customers go on when they come to a site, and hopefully it ends with buying a product. Hijacking interferes with the customer&apos;s journey. It can be a pop-up that the company didn&apos;t put there, or something that will lead a customer out of the website. It&apos;s any interference that doesn&apos;t come from the e-commerce business itself, but from a third party that does it for malicious reasons and to make money. It&apos;s important to prevent it because it causes e-commerce businesses to lose money. Every e-commerce company brings a customer in to enjoy the experience and eventually buy a product. Journey hijacking leads customers to a different product, so eventually the e-commerce company loses money. When you click a product, eventually you go to a different website. It all comes down to money, and having a good experience and journey on an e-commerce website. CRM Buyer: What are the best ways to prevent online journey hijacking? Katz: Our installation involves adding one line of code into every page that you want to protect, and all of our clients put it on 100 percent of their pages. Basically, the code is a living code on the client&apos;s page and mobile device. Because of the nature of dynamic pages and the dynamic content of e-commerce, there isn&apos;t any one truth for every page. We use machine learning and algorithms to understand what the page is on the fly. For every client, we have some kind of model for how we think the pages should look. This code is updated many times a day, because e-commerce businesses change the content all the time, and we need to change this all the time. CRM Buyer: Why is machine learning an important part of preventing online journey hijacking? What makes for an effective machine-learning system? Katz: Machine learning is 70 percent of the system, and I&apos;ll explain why. We need to be very efficient about what we do. We don&apos;t want to add anything to the page that hinders performance, and we want to remove anything that does that. There&apos;s a lot of malware hijacking going on, and one of the most important things is knowing how to learn about new attacks all the time. When it sees suspicious evidence in the page or inside the code, it sends it back to our machine-learning servers, and they digest the data. They decide if it&apos;s legit or not. Also, if we find a malware element on one e-commerce site, we send it to others, because it&apos;s an ongoing attack. The whole system is refreshed all the time, learning all the time, and referring from client to client and between different verticals. CRM Buyer: How do you see client-side digital malware evolving? What&apos;s in the future? What new threats will it pose? Katz: In the last six months, we&apos;ve seen a lot of this kind of malware coming from public WiFi networks at places like coffee shops and airports, and we see a lot of it even on clean devices, just from browsing. It infects the devices through the WiFi. When I&apos;m in Starbucks and connected into the Starbucks WiFi, I can basically by mistake or unknowingly download some kind of malware, and then I get it. We see a lot of surveys that pop up from a website, but they actually didn&apos;t come from that website itself. Another thing we&apos;re witnessing is when you&apos;re missing a plug-in, and then when you install it you get nasty malware. It&apos;s shifting all the time, and it&apos;s changing all the time. We need to remember that they have one goal in mind: to make money. CRM Buyer: Does ad-blocker software protect consumers from this kind of malware and journey hijacking? Katz: Most of the people that have ad blocking will still see banner ads, because they are competing with ad blockers. They know how to bypass them. They know how to bypass most of the ad-blocking software. CRM Buyer: In addition to affecting the bottom line, does online journey hijacking affect other parts of the e-commerce experience, like the experience and understanding of a brand? Katz: Yes, it affects all kinds of things: how the website looks, the color, the pictures. Malware can change anything. We see malware that puts ads when there was nothing. They create white space. For example, they can push the homepage down, and have advertising on the top. Eventually, what the e-commerce business wanted on top of the fold can go to below the fold. All kinds of things that the e-commerce sites are working on to make the journey perfect can be ruined by this kind of hijacking.